A firearm, whether it is a rifle or a pistol, is a tool like any other. Any tool in the improper or uneducated hands can prove lethal, but in the case of a firearm misuse can have severe legal implications as well. By taking on the responsibility of owning or carrying a firearm, you also accept the responsibility to use it properly. In order to ensure that you know the correct and safe way to use a firearm, it is essential to undertake firearm training. Why Should I Undertake Firearm Training? Safety: Safety is the number one propriety when it comes to carrying a firearm. That means safety of others as well as yourself. Many people carry weapons for self defense or defense of their families. Shooting yourself in the leg is not a good self defense strategy, unless you expect your attacker to die of laughter. By committing yourself to professional firearm training, you ensure that you drastically reduce the chances of mishandling or misfiring your weapon. Accuracy: There is nothing more tragic than a bystander being shot by accident. It is completely avoidable. By ensuring that your shots are accurate, you know that they will land where you intend them to land. Job Opportunities: Any careers in the military, police force or private security industry will require you to have a certain level of firearm proficiency. 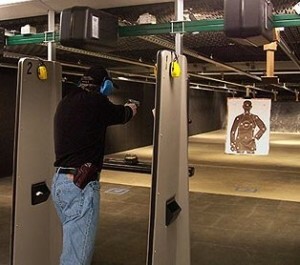 By obtaining professional firearm training, you open up a world of possibilities. The responsibility of carrying a firearm is an important one, and it is essential for the safety of both the gun owner and the general public that the gun owner acts responsibly. Firearm training offered by Brent Security ensures that every one of our trainees goes into the world gun-safe.